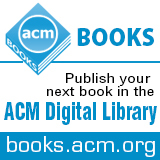 Welcome to the May 15, 2015 edition of ACM TechNews, providing timely information for IT professionals three times a week. The U.S. Defense Advanced Research Projects Agency (DARPA) already has spent more than $96 million on its DARPA Robotics Challenge (DRC), which offers a total of $3.5 million to the top three finishers. As part of the disaster mitigation challenge, DARPA built a special town in the Pomona, CA, desert where, next month, 25 robots will compete in responding to a Fukushima-like disaster. The goal of the competition is to develop better tools and techniques to respond to natural disasters. Although the competition is focused on disaster mitigation, the technologies developed by the participants could eventually be used in a wide range of fields. "There is a wide spectrum of how these technologies will be used, including defense," says the DRC's Tim Kilbride. He says the research is important because modern robots were designed to perform specific tasks under near-perfect conditions, whereas during a disaster there are random tasks, random obstacles, and random communications connectivity. The DRC will include asking the robots to drive a standard utility vehicle to get to the disaster site, and then to perform all the assigned tasks on their own, including finding a doorknob, opening and going through doors, climbing stairs, cutting holes in walls to gain access, closing valves, and surmounting at least one impediment undisclosed to the teams ahead of time. IBM researchers recently announced a breakthrough in the quest to develop a functional quantum computer. Unlike the bits in a classical computer, the qubits used for computations in a quantum computer can be very unstable and error-prone. The IBM researchers were able to design a method of detecting errors in a two-by-two lattice of superconducting qubits using a technique called surface code, using two of the qubits to check the other two qubits for errors. However, error correction is only one of the many remaining obstacles to building a practical quantum computer. Coherence time, the amount of time that qubits retain their quantum properties before reverting to a classical state, is one of the challenges. The current record for coherence time is just 35 seconds. One of the largest obstacles is a total lack of standardization in terms of the materials and architectures used to make quantum computers. Some labs, including the IBM lab, use superconducting circuits, while others use ion traps or embed electrons in silicon. Scaling up quantum computers also is a problem, because the more qubits are added to an array, the more likely it is that it will lose its quantum properties. However, Jerry Chow, manager of IBM's Experimental Quantum Computing group, says he is optimistic these obstacles will be overcome. A technique for physically decorating three-dimensional (3D) surfaces with customizable color textures has been developed by a team of U.S. and Chinese researchers. The researchers say their method is cost-effective and can be used on materials ranging from plastic to porcelain. Researchers from Zheijiang and Columbia universities dubbed their method computational hydrographic printing. They say the technique enables point-by-point detailed alignment of surface textures to complex 3D surfaces. An essential step of the hydrographic printing method is the computation of a pixel image to print on PVA, a water-soluble synthetic polymer film. The researchers attach the object on a mechanical gripper and dip it into the water while using a Microsoft Kinect to map the location of the object prior to immersion. The researchers say the simulation step establishes a map that plots points on the color film to points on the object's surface. The researchers then use the inverse of this map to determine which color patterns need to be printed on a color film. When dealing with complex surfaces, the team has extended their method to enable multiple immersions, each with a different object orientation. Baidu has developed Minwa, a supercomputer equipped with 72 processors and 144 graphical-processing units, which it used to train machine-learning software into beating a record for recognizing images. Minwa uses an advanced version of deep-learning technique, and makes it practical to create an artificial neural network with hundreds of billions of connections. The supercomputer was used to train a neural network that set a new record on the ImageNet Classification Challenge, which involves training software on a collection of 1.5 million labeled images in 1,000 different categories, and then asking the program to use its new knowledge to label 100,000 images it had not previously seen. The system trained on Minwa was wrong only 4.58 percent of the time, beating Google's record, which stood at 4.82 percent incorrect guesses. Minwa was able to train the system to break the record by using a technique that turned the original 1.2 million training images into 2 billion images by distorting them, flipping them, and altering their colors. Minwa then used that larger training set to improve the accuracy of the machine-learning software. Recent advances in deep learning suggest the technology is ready for tougher challenges than image recognition, such as interpreting video or describing images in sentences. The U.S. National Science Foundation (NSF) recently announced two five-year, center-scale awards with a total value of $8.75 million that will go to a pair of programs developing state-of-the-art medical and cyber-physical systems (CPS). The first program is a collaboration between computer scientists, roboticists, and biologists from Boston University, the University of Pennsylvania, and the Massachusetts Institute of Technology to design systems combining the capabilities of nano-scale robots with designed synthetic organisms. The researchers believe this hybrid "bio-CPS" technology will be capable of many previously impossible functions such as microscopic assembly and cell sensing within the body. As a demonstration, the researchers plan to develop teams of synthesized cell/microbot hybrids that can construct complex, fabric-like surfaces. The other grant will go to a multi-center project developing what it calls the "Cyberheart" platform, for testing and validating medical devices faster and at lower cost than current methods. The team also will collaborate with experimentalists who will study the behavior of both virtual and actual devices on animals' hearts. NSF has invested about $40 million to support CPS research in 2015 and $250 million since 2008. European researchers are working with Japanese colleagues to build a framework for testing new network technologies. The researchers launched the Federated Test-Beds for Large-Scale Infrastructure Experiments (FELIX) project in April 2013. In April 2015, FELIX published a white paper outlining the key benefits of a world-scale test-bed for demonstrating new network technologies. The participants in the project are now working to create an easily accessible Internet testing framework that would meet the needs of European and Japanese research communities and enable greater collaboration. Users would be able to trial and test new network architecture at scale. FELIX is investigating software-defined networking (SDN), a dynamic, manageable, and cost-effective approach to computer networking that decouples network control and forwarding functions. An SDN approach means network control becomes directly programmable and the underlying infrastructure can be abstracted from applications and network services. FELIX will establish Internet experimental platforms in Europe and Japan interconnected by high-speed dynamic research networks. The European Union-funded project is due to conclude in March 2016. The Computing Community Consortium (CCC) has released a strategy for privacy research over the next decade aimed at enabling society to address threats to privacy while enjoying the benefits of information technology and data science. Many of the benefits involve the use of sensitive personal data, which raises concerns about privacy. The report synthesizes input drawn from the privacy and computing communities. The editors of the report suggest the research agenda should focus partly on understanding the needs, expectations, and incentives of people who use information systems; recognizing and supporting the many phases and dimensions of privacy research; enabling interdisciplinary research strategies, and cultivating a technology-policy dialogue. Such research could be used to design information systems that are more sensitive to human users. The CCC recently presented the report to the U.S. Networking and Information Technology Research and Development (NITRD) Privacy Research and Development Working Group. "We hope that it will be useful to the agencies of the...NITRD program as they develop a joint National Privacy Research Strategy over the coming months," the CCC says. When using a camera to take pictures through a window, the resulting images usually capture unwanted reflections, and Massachusetts Institute of Technology (MIT) researchers have developed an algorithm to automatically remove reflections from digital photos in some instances. The algorithm exploits the fact that photos taken through windows often feature two nearly identical reflections, slightly offset from each other. MIT Ph.D. candidate YiChang Shih and colleagues initially assumed both the reflected image and the image captured through the window have the statistical regularities of natural images, but this did not generate the desired results. They eventually adopted a technique co-developed by MIT doctoral student Daniel Zoran and the Hebrew University of Jerusalem's Yair Weiss, who had created an algorithm that divides images into 8 x 8 blocks of pixels. For each block, the algorithm calculates the correlation between each pixel and each of the others, based on aggregate statistics of all 8 x 8 blocks in 50,000 training images. Shih and colleagues report performing searches on Google and the Flickr photo database, eventually collecting 197 photos shot through glass. Of these images, 96 exhibited double reflections that were offset far enough for their algorithm to work. Attracting more students to the science, technology, engineering, and math (STEM) fields has become a major priority in recent years, with predictions of millions of new jobs requiring some level of STEM skills. The White House has developed a five-year strategic plan to support STEM education, and interest in the field remains strong among students. Nearly half of those who take the ACT test (which assesses students' academic readiness for college) continue to express interest in STEM fields, particularly computer science, engineering, and the physical and biological sciences, even as the number of college-bound students has increased. However, Burning Glass Technologies CEO Matt Sigelman warns it will take time for these improvements to fully pay off. He notes because educational programs necessarily take several years to complete, the supply of new workers may not be able to grow as fast as demand. The demand also is likely larger than the official statistics predict, because many jobs without obvious STEM titles will require some degree of STEM skills. This is part of why many are pushing to bring more women and minorities into STEM fields, which also will increase the overall number of new STEM workers down the line. Blair Blackwell, manager of education and corporate programs at Chevron, notes STEM instruction also needs to be part of the curriculum at all educational levels. University of Washington (UW) researchers are developing NewsSpike-RE (Relation Extractor), a machine-learning algorithm designed to learn new words and meanings more efficiently. NewsSpike focuses on facts that are difficult to understand by searching multiple media sites to find news about one event. "Our work is more artificial intelligence, to understand what the texts are talking about," says University of Washington doctoral student Congle Zhang. He notes NewsSpike is different from other machine-learning algorithms because it can identify semantically related words from news articles. So far, the system has learned to recognize more than 200 relationships, and that number is growing with each run of the program. In addition, the system does not require data to be manually labeled, which can be a time-consuming task. "[Other systems require] many, many years of man work, just creating training data for a machine-learning algorithm," says UW professor Dan Weld. "One thing that's nice about Congle's is that it doesn't require a human being to generate training data." The researchers hope NewsSpike can become the first machine-learning algorithm to understand computer translations. "The next thing to be done...is to keep improving the performance,” Zhang says. "Secondly, it's to find a good way to let people use [NewsSpike]." Fujitsu researchers have developed wearable sensor tags that can detect whether users have changed their location, posture, or are experiencing high heat. The tags contain sensors commonly found in smartphones such as accelerometers, barometers, gyroscopes, and microphones, and can be incorporated into wristbands or location badges that are worn lapels or breast pockets. The tags transmit data via Bluetooth Low Energy and interoperate with a cloud-based Internet of Things (IoT) platform called Ubiquitousware, which is designed to make IoT applications easier for businesses. Ubiquitousware contains algorithms that analyze the sensor data and can automatically send alerts to supervisors. "These sensors stand out for the many business apps such as medicine or security that are easily incorporated through our cloud solutions," says Fujitsu's Tatsuhiro Ohira. Ubiquitousware also has been implemented in the latest version of Fujitsu's head-mounted display, which features a 0.4-inch display in front of one eye for looking at assembly manuals, as well as a camera, microphones, and sensors such as an accelerometer to detect falls. Several leading women from the cybersecurity world gathered at the recent RSA conference and spoke about the gains women have made in the field and the challenges that still remain. Many said being a women in cybersecurity has become easier, and that they are taken more seriously, and are earning more of the top jobs in the field. However, women are still woefully underrepresented in cybersecurity, accounting for only 10 percent of the worldwide workforce, according to the latest numbers from (ISC)2. Several of the women at RSA said this not because women are being turned away, but because very few think to apply for security jobs in the first place. Many of the women speaking at RSA, for example, came to cybersecurity from other disciplines. For example, U.S. Department of Justice chief information security officer Melinda Rogers started her career in business administration. Blue Coat's Janet Matsuda said several steps need to be taken to attract more women to the field, including doing a better job of selling the field to girls, who often see it as "geeky," highly technical, and male-dominated. She said changing this perception will require the cooperation of teachers, as well as making women's presence in the field more prominent. The U.S. National Security Agency's (NSA) use of automated speech recognition has been a well-guarded secret for years, although its use by the agency is widespread, according to documents leaked by Edward Snowden. The ramifications of being able to scan, catalog, and archive voice conversations as text are far-reaching in terms of privacy invasion, surveillance, and political advantage, although the U.S. Defense Advanced Research Projects Agency's (DARPA's) heavy investment in speech-recognition technology has been public knowledge for decades. The latest DARPA project is the Robust Automatic Transcription of Speech program, which is focused on "noisy or degraded speech signals that are important to military intelligence." There also is the U.S. Intelligence Advanced Research Projects Activity's Babel Program, designed to create "agile and robust speech recognition technology that can be rapidly applied to any human language in order to provide effective search capability for analysts to efficiently process massive amounts of real-world recorded speech." However, the intelligence agencies and even academia are mostly silent about the surveillance applications of speech recognition. In academic circles, researchers who have received NSA funding are keeping quiet about the technology and how it is used, while those working on non-NSA-related projects can only speculate.